It’s that time of the month. The time to peer into the kitchens and lives of strangers. 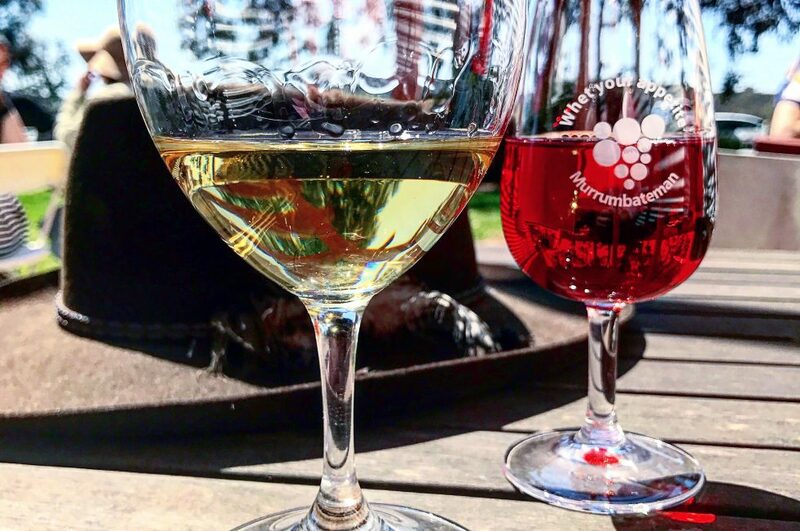 To see what other’s are up to, what new purchases have been made, gifts given, produce sown and harvested and new culinarily stunning dishes invented. Since starting this blog, and stumbling upon Celia’s In My Kitchen stories, I spend my days (and ma money) coming up with things to put In My Kitchen. 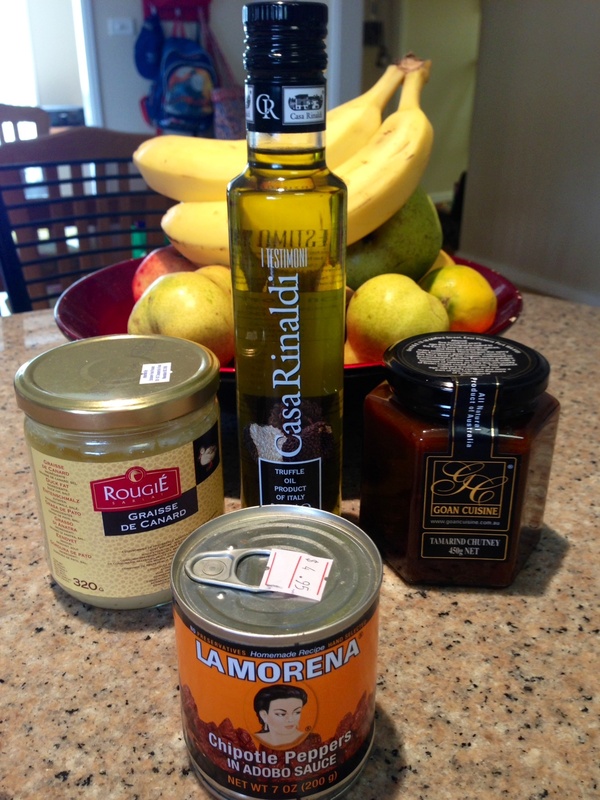 In My Kitchen this May…. 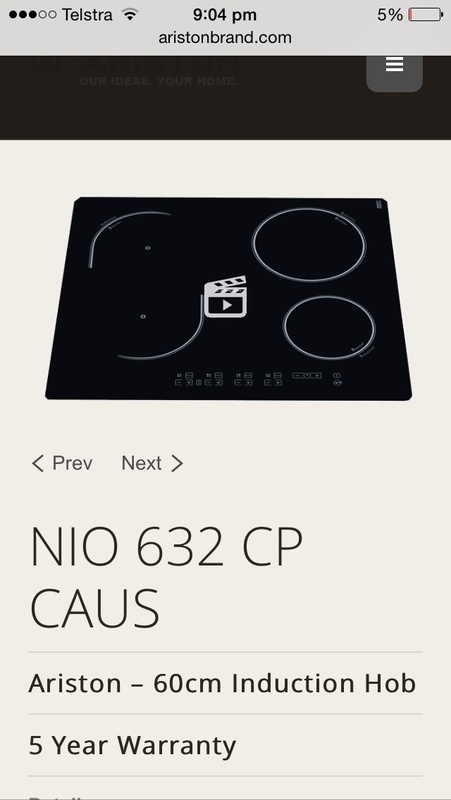 The first oven and cooktop that I’ve bought, all for myself. To say that I’m excited about this would be an understatement. I can barely conceal my glee. In fact I’m trying to come up with a 12 week cooking challenge to try out every one of the 12 functions of the oven, and have passed this info on to anyone who will, or won’t, listen. …is my Mother’s Day present. 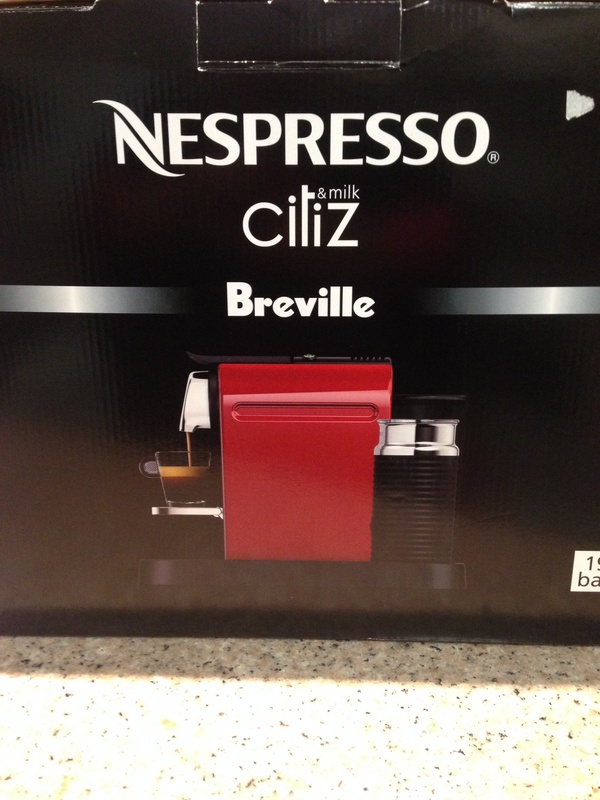 Technically it’s in the laundry, but when I’m actually allowed to have it next Sunday, it’ll be In My Kitchen. 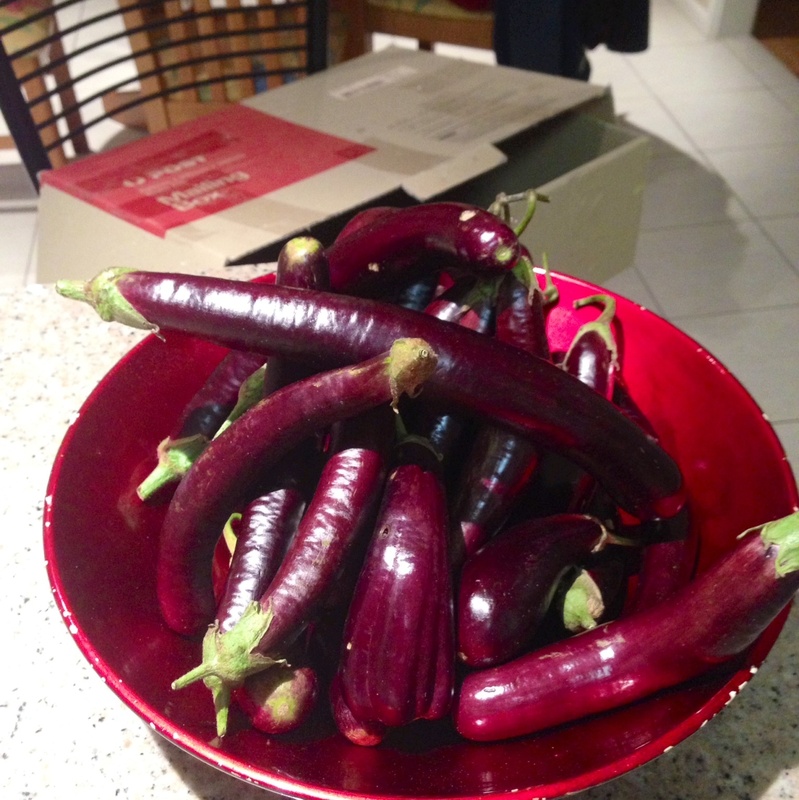 …is a loverly bunch of eggplants. The last of my dad’s summer crop. These will be pickled the Italian way. 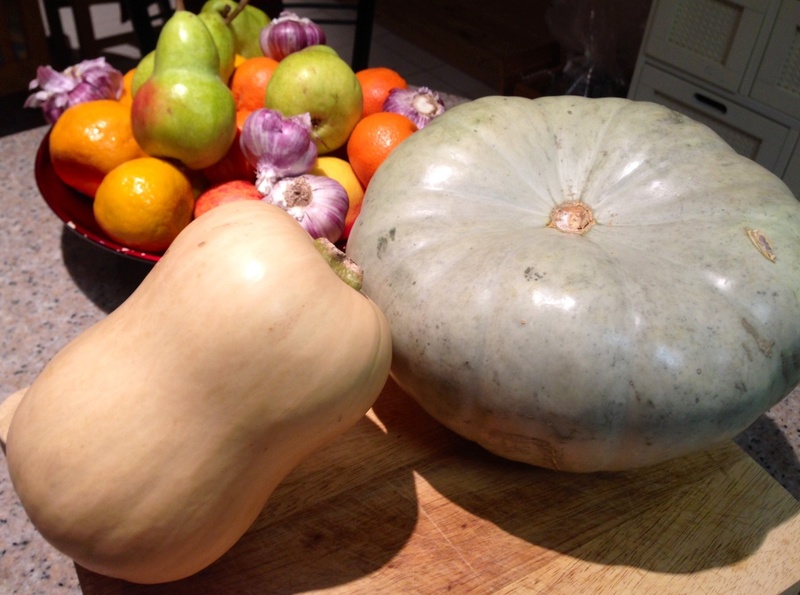 …are two punkins, bought today at the Collector Pumpkin Festival, to be turned into slow roasted pumpkin soup. Perfect for the cold, cold Canberra nights. 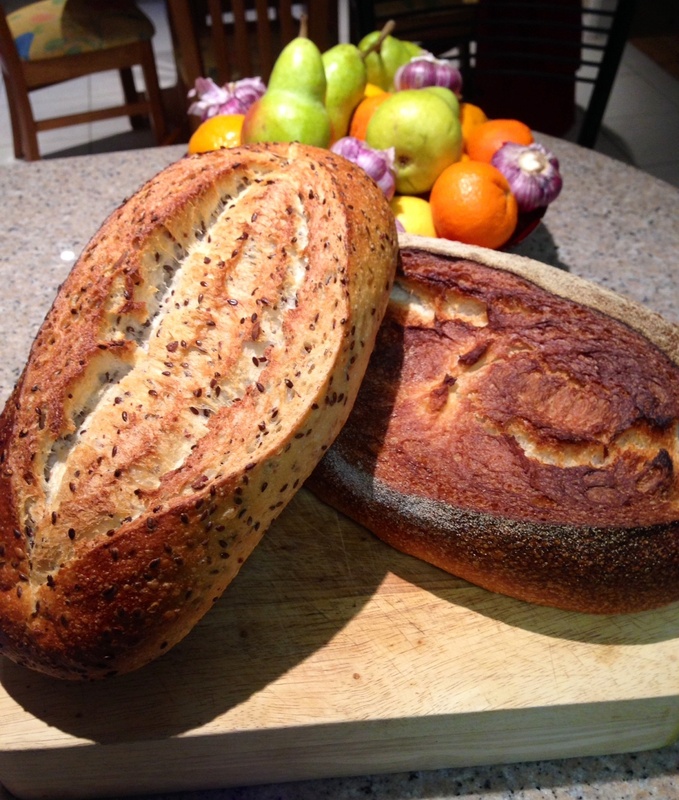 …are 2 loaves of sourdough, from Bean and Grain at the Fyshwick markets. To go with my pumpkin soup. 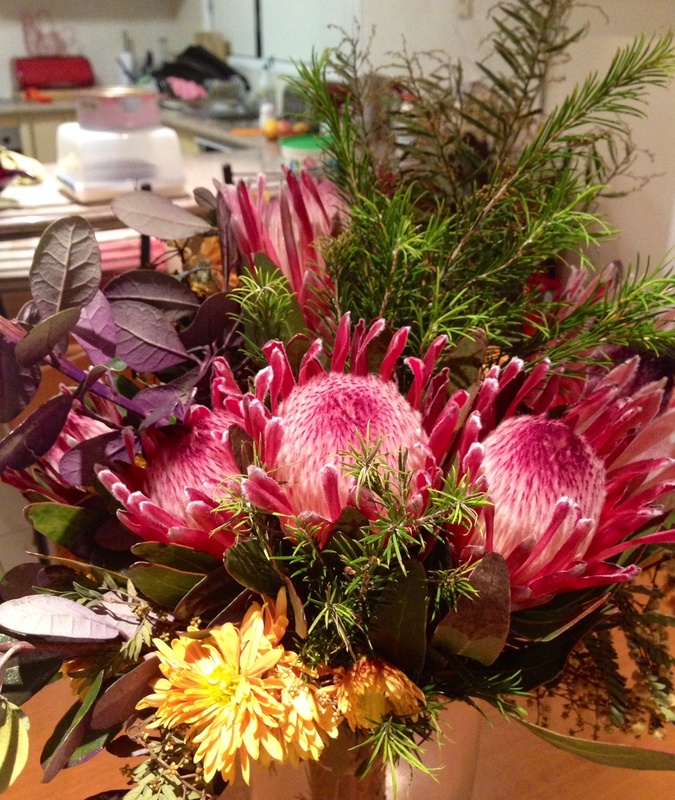 …is this beautiful bunch of Australian natives that my lovely team at work bought me after my Grandma passed away. They rock. …are several jars of things, Duck fat for fabulous roast potatoes, truffle oil for fabulous truffled things, Goan tamarind chutney for fabulous something’s or others, and chipotles in adobo sauce for some chilli con carne. …and last but not least is a taste revelation, for me, but known by everyone else for centuries. 2 bunches of kale. Turned into one very delicious newly discovered recipe. Courtesy of Pinch and Swirl, thank you, thank you, thank you. 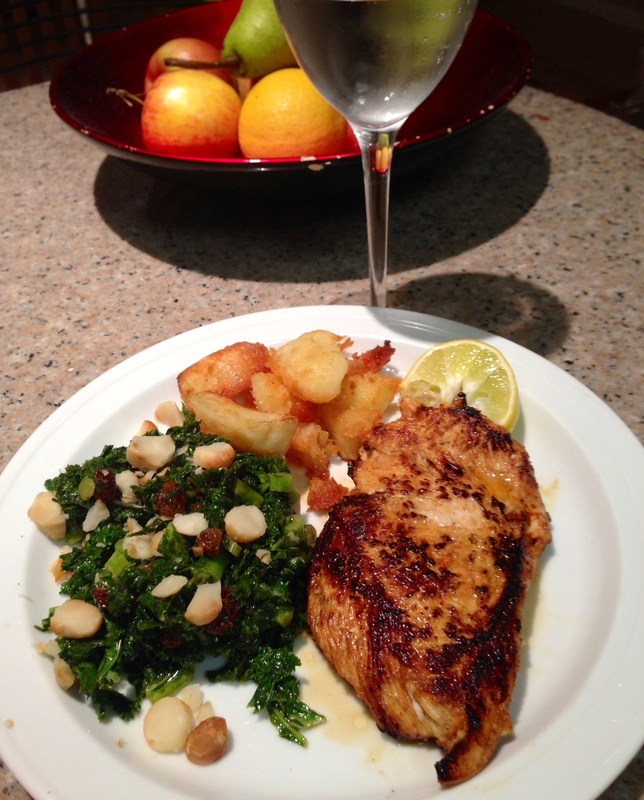 Although, I made mine with sultana’s macerated in balsamic, roasted macadamia nuts and served it as a sautéed salad. Admittedly it was a little salty from the salty massage, but Buddy helped me with the salt whilst I wasn’t looking. And yes, those are potatoes roasted in my new duck fat. Sooo good. Check out Celia’s blog and the many, many lovely bloggers who contribute to this great cause each month. Previous Post To HUG or not to HUG….this is my question!!!! You need to go out around 4ish on Sunday arvo as they start to heavily discount the produce. I got those two loaves for $4 each! Bargain. Thanks Celia. i cant wait to us those chipotles, I’ve never seen them before so just had to buy them. Those loaves look so tasty. It is so hard to get good bread. Love all your new ingredients. The flowers for your gran are beautiful but bittersweet. I’m sorry she’s gone. The rest of your stash in your kitchen fills me with envy, especially the oven! Thank you for your kind thoughts, Maureen. My oven has arrived and now I impatiently wait for an available electrician! I’d love to go to the Collector Pumpkin Festival one day, it looks like fun. They have a Watermelon Festival in Chinchilla in Qld. Thanks for that tasty little tour and enjoy those pickled eggplants – delicious! I’m quite keen to taste these pickled aubergines, but need to display a little patience and wait a few months! G’day! Your photos brightened my day! 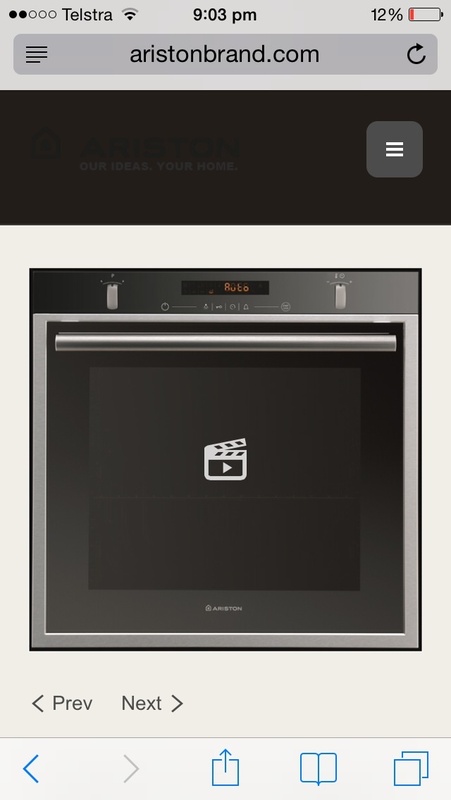 Can’t wait what you cook and bake in your new oven! Lots of yummies indeed, and loooove your new appliances! Fran, I’m just now getting ’round to catching up with IMK… so sorry to hear about your Grandma… belated condolences and hugs. I’m glad you’ve been surrounded by family, friends, flowers, and food… balms to the soul… and congrats on your new cooktop and oven. It’s a beaut! Thanks Kim for your lovely thoughts.